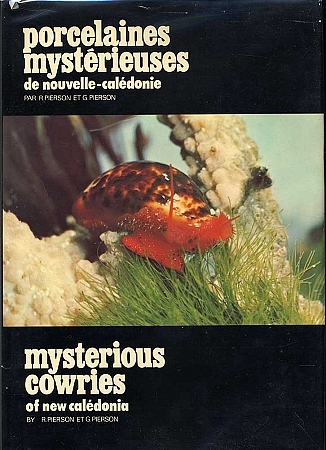 1975, published by the authors, New Caledonia, hard, blue cloth binding, gold-leaf stamped front cover and spine, limited printing of 5000 copies, 120 pages, about 8.5 by 11¾ inches, (about 21.5 by 30.5 inches) all species illustrated in page size color photographic plates, photos of living mollusks in their habitat, maps, etc., in French & English. 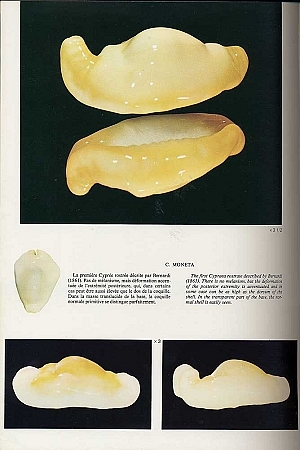 This book is the ultimate reference guide to the strangely colored and shaped Cypraea that are found in the waters off New Caledonia. 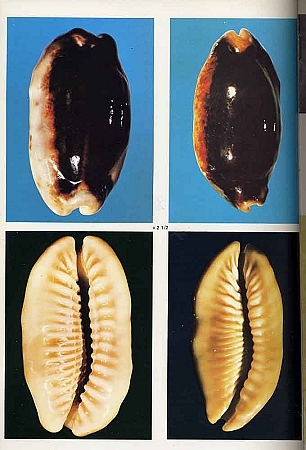 As well as being a superb photographic guide to some of the most extreme shells of this type it also offers a history of these shells, a look at some of the causes of this phenomenon, and notes on collecting these shells. 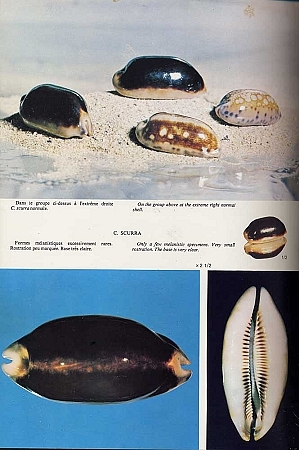 The authors assembled what was the foremost collection at the time of these shells and probably give us the most authoritative view of this subject that has ever appeared in print. This is a used book and the printed dust-jacket is missing.There are a few light stains on the front cover and some very minor wear at the tips of the corners. Don't miss it! 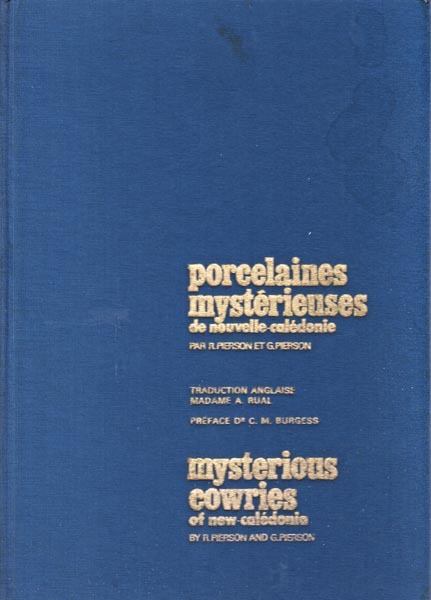 This book is extremely rare and it is very expensive if you are lucky enough to find a copy for sale.